Could George's escape away from his pesky brothers be a bit too successful? An ode to imagination - and annoying but indispensable siblings. George's little brothers wreck his toys and his games and trail after him wherever he goes. Try as he might, there's just no hiding from them. George has had enough! So he commandeers an empty washing-machine box and goes to the one place his brothers can't follow: Nowhere. Nowhere is amazing! It's magnificent! It's also, however, free of pirates and dragons and ...well, anyone at all. 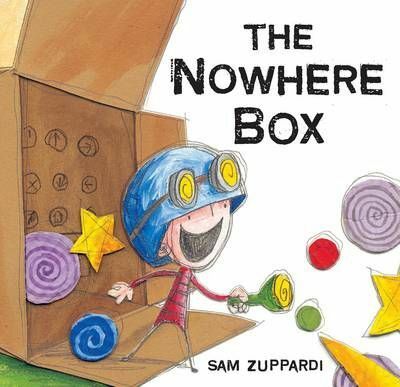 From exciting new talent Sam Zuppardi comes an all-too-familiar story of an older brother who knows when he needs his space - and when he needs his siblings - invigorated by charmingly offbeat illustrations.